With Halloween approaching it’s the perfect time to start thinking about Halloween motor planning activities. It’s my five year olds favorite holiday and he gets really into Halloween. We have several different fine motor and gross motor activities to do this year that all include a Halloween theme. 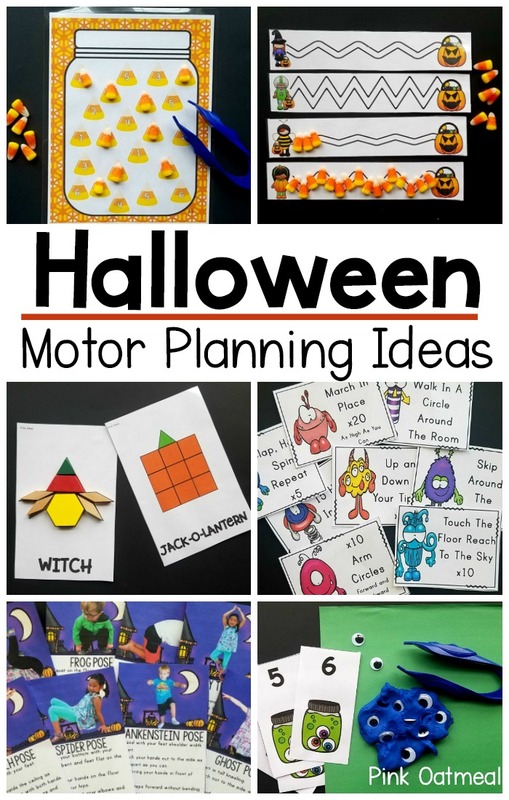 If Halloween isn’t something you celebrate be sure to check out our Pumpkin Themed Motor Planning Ideas. These are also perfect for this time of year. The following activities are perfect for the month of October and especially fun during Halloween week. All of the activities are designed with physical activity and motor planning in mind! This activity has gone down as one of the favorite fine motor activties to date! 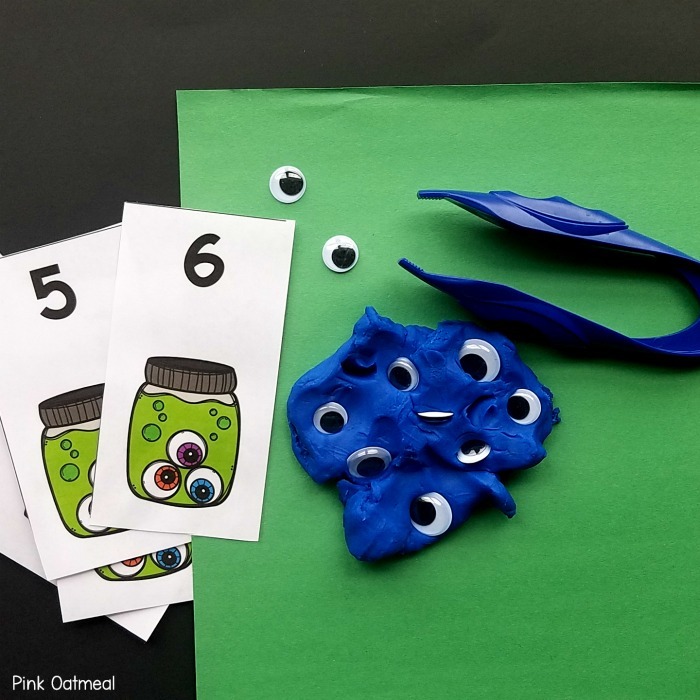 Who doesn’t love picking eyeballs out of play dough or slime? My five year old uses a tongs and my three year old does it with his hands. It’s great counting activity as well. 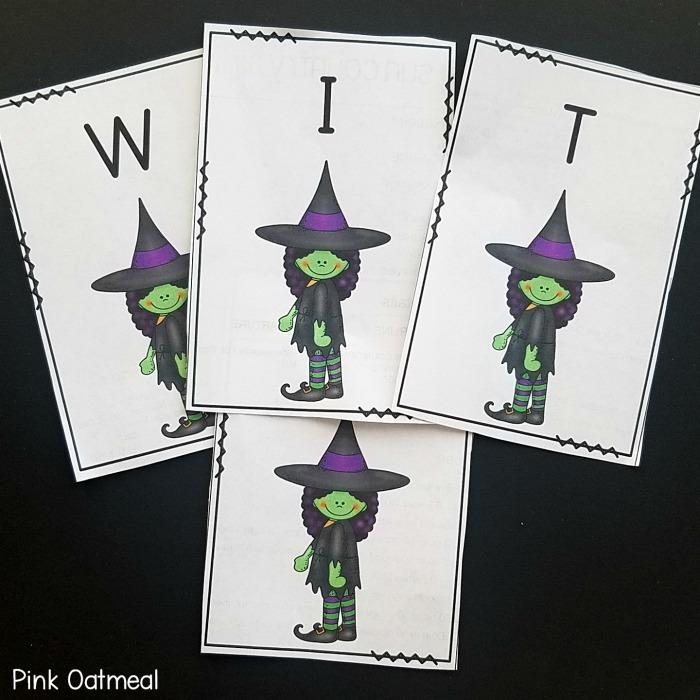 The task cards can be found in the Halloween Fine Motor Activities Pack in the shop. How about moving your body like a black cat, bat, or moon? Adding a theme or story makes yoga so much more fun. Check out all of the different ideas for Halloween Yoga Poses in this post. You need to watch the video too! Grab this set of cards in the shop! 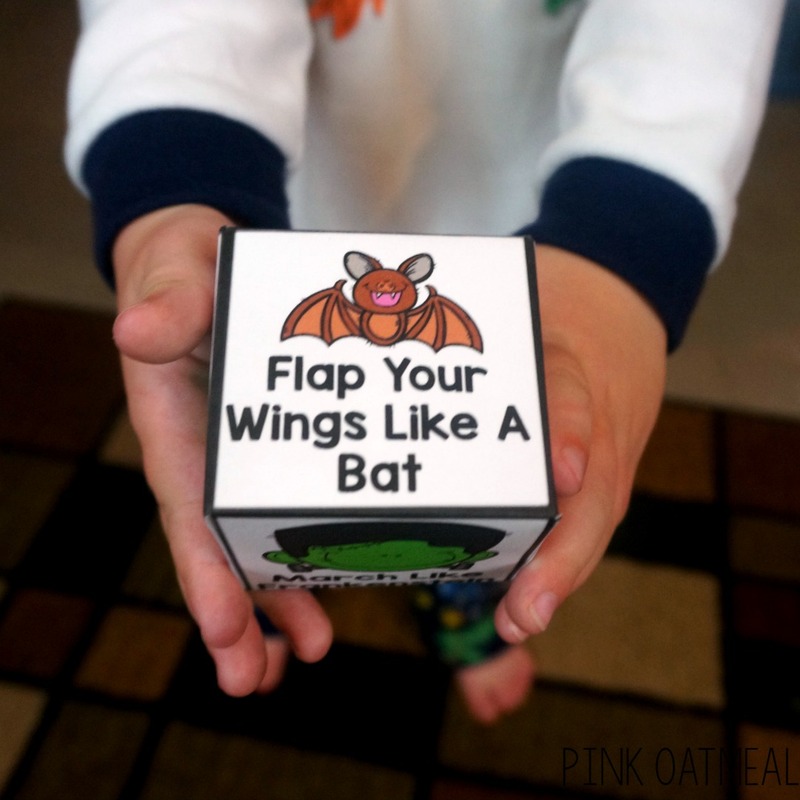 Another favorite around here is Halloween themed pattern blocks to work on fine motor activities. The Halloween themed patterns were successful for both of my boys! 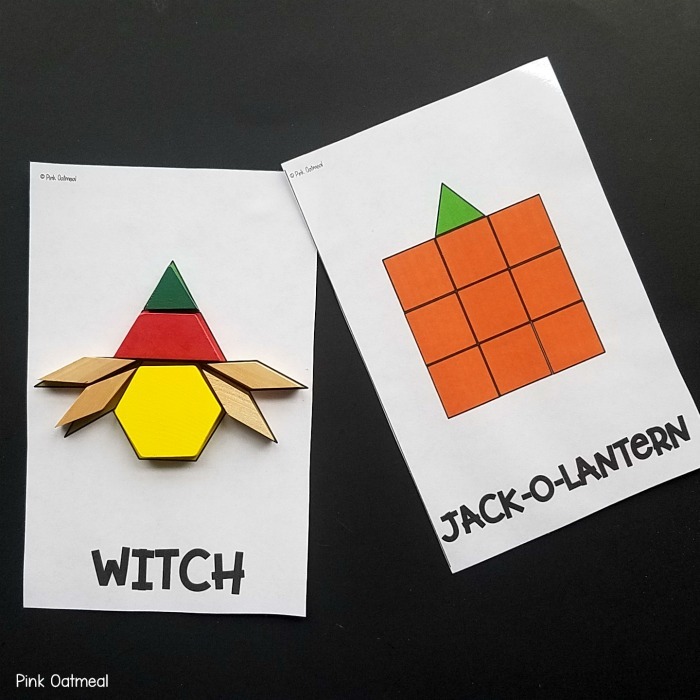 You can get these pattern block task cards in the Halloween Fine Motor Activities Pack. This is a fun way to move little bodies with a monster theme. I love using these during Halloween for gross motor skills and to get some physical activity in. Get this set of cards in the shop. How about more fun ways to move your body? The Halloween dice are perfect for this. They can be found in the freebie library. You can gain access to the freebie library when you join the email list. Candy corn makes Halloween themed fine motor activities even better. 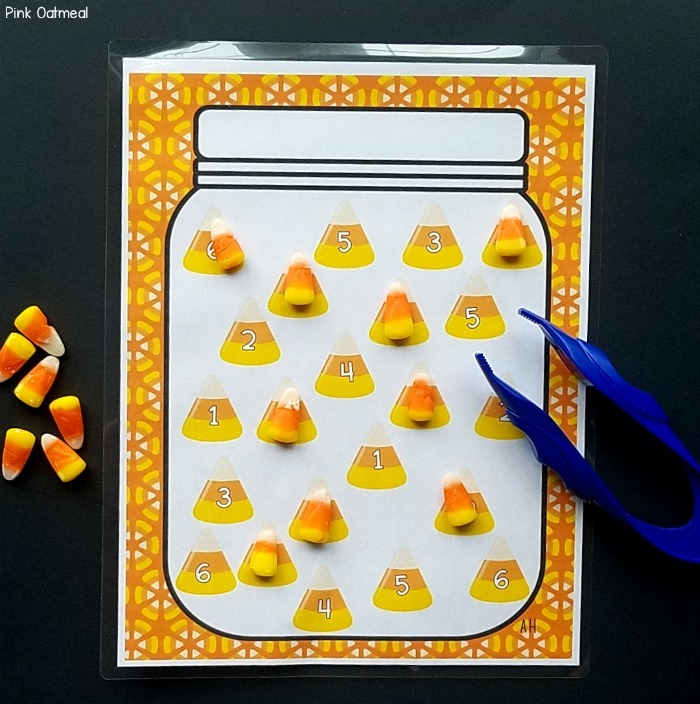 The candy corn trails and candy corn dice game are the perfect way to work on fine motor skills at Halloween. Both of these can be found in the Halloween fine motor activities pack in the shop! My boys like a little competition. We played the witches relay by flying on “broomsticks” aka pool noodles to collect the witches relay cards. This set of cards can be found in the Halloween Movement Pack Games. Halloween hair cuts were given for a fun cutting activity with a Halloween theme. 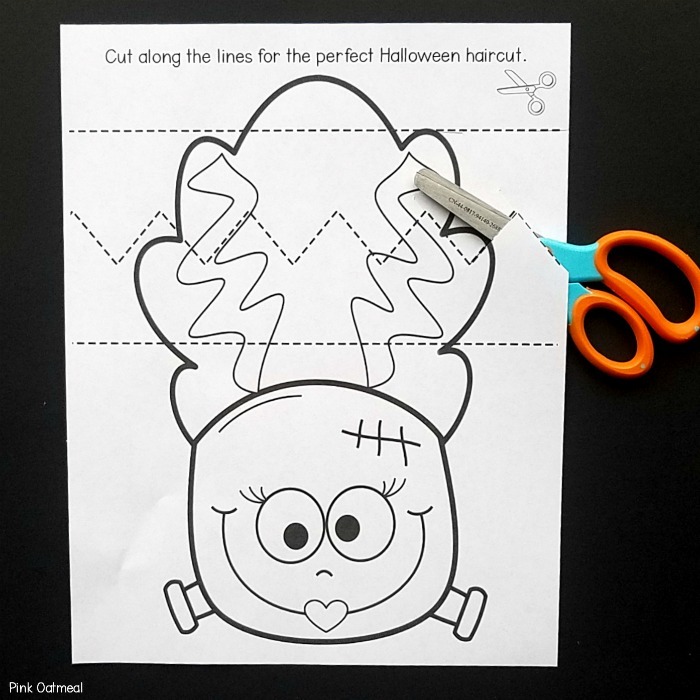 These simple print and go sheets can be found in the Halloween Fine Motor Activities Pack. The roll and move Halloween dice games are fun and easy. My five year old and his competitive side loves playing these games. The dice games can be found in the Halloween Movement Games Pack. Pre-writing strokes are important and need to be in place before trying to work on actual letters. I like to laminate these pre-writing strips to use them over and over. Dry erase markers work great for writing. I like to use manipulatives (like candy corn!) with my three year old. 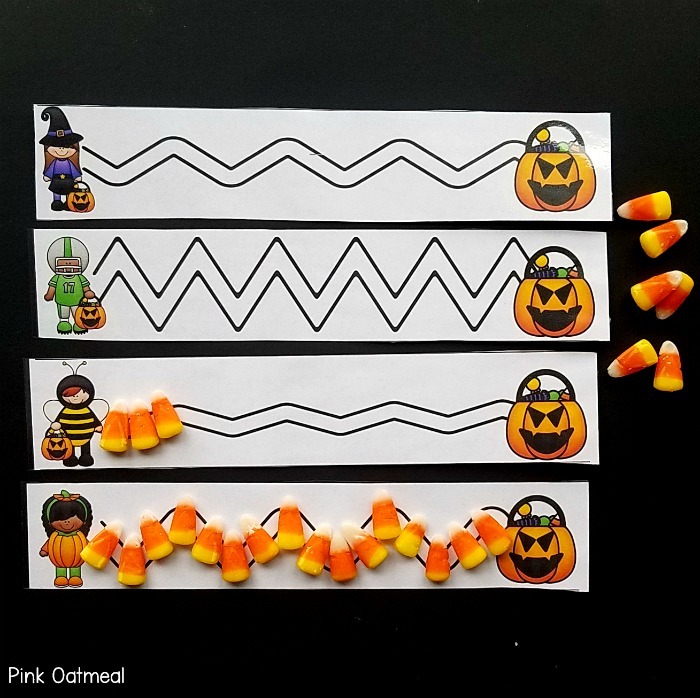 Get these in the Halloween Fine Motor Activities Pack! 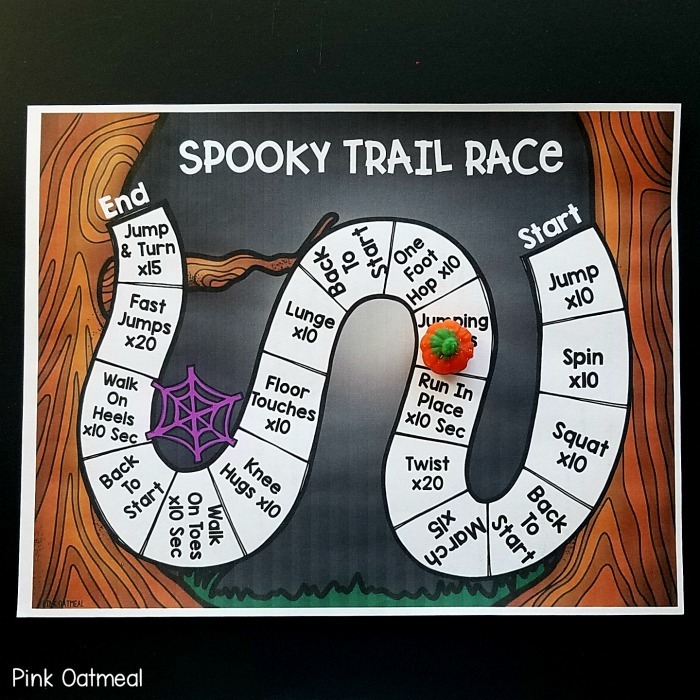 These are the perfect way to get in physical activity and gross motor skills with a Halloween Theme. You can read about all of the different Halloween Ideas in this post. I modify and adjust them as needed for my three year old. Both of my boys LOVE these cards! They can be found in the shop. More dice activities. 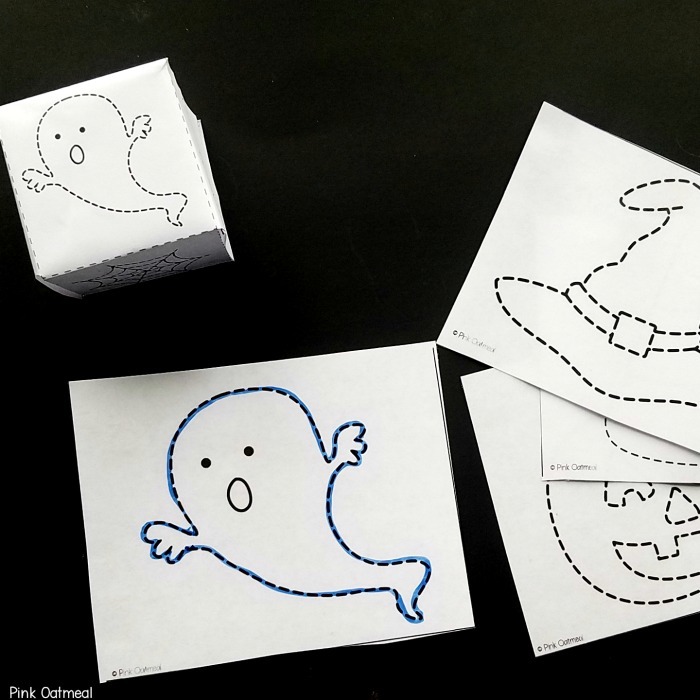 This fun roll and trace game consists of rolling the tracing dice and tracing the Halloween object that comes up. You wouldn’t have to use the dice, but it makes it a little more fun. 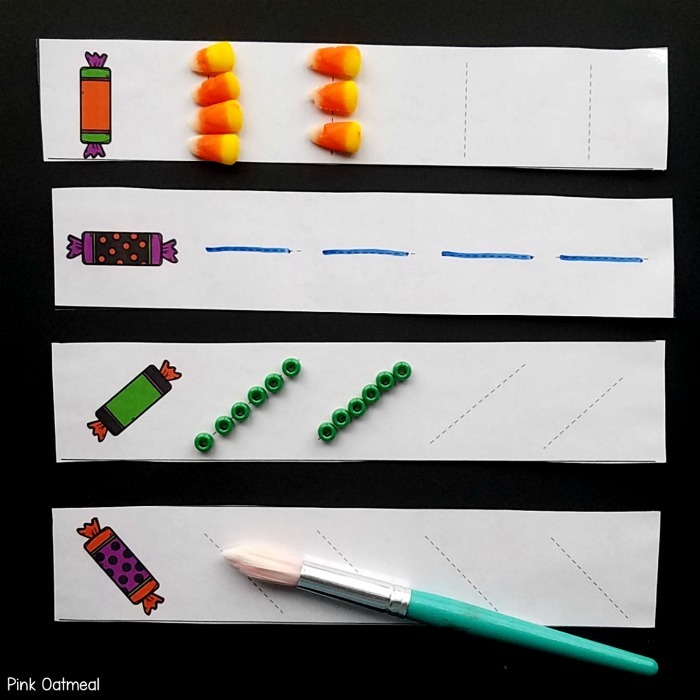 This activity can be found in the Halloween Themed Fine Motor Pack. This was a fun activity to work on fine motor skills and control. 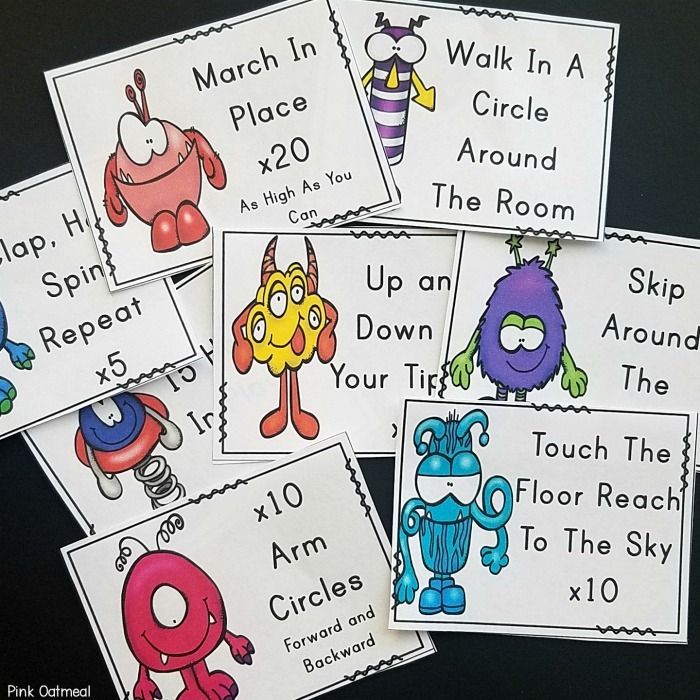 This activity consists of adding glue dots to the printable. I used glitter glue to make it a little more fun, but traditoinal white glue would do the trick too. 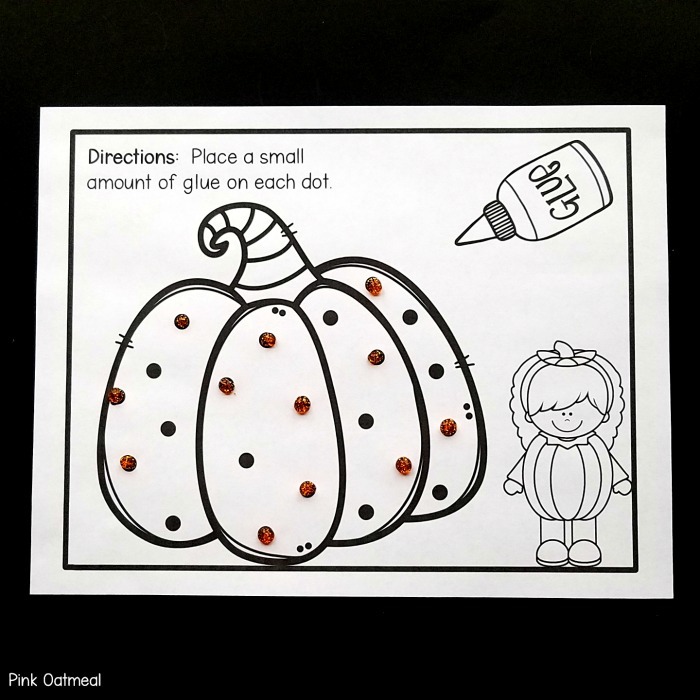 Get this printable and several other glue dot printables in the Halloween Themed Fine Motor Pack. 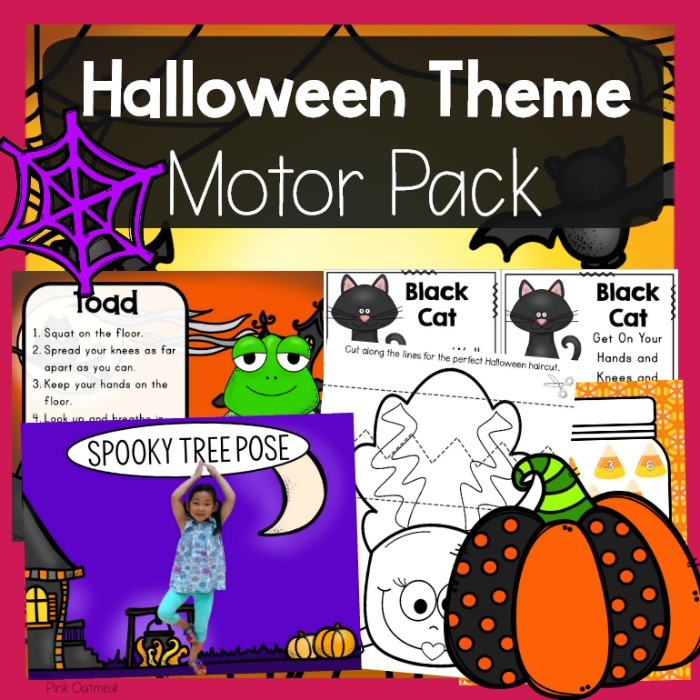 If you want all of your Halloween motor planning activities done for you, the easiest way would be to grab the Halloween Motor Pack. 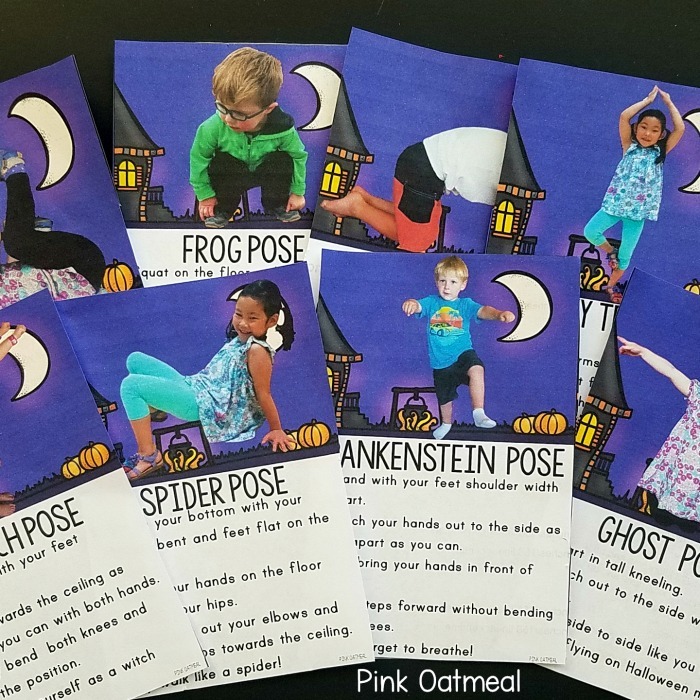 This pack consists of yoga, brain breaks, and fine motor acitivities all with a Halloween theme. Because you are purchasing these activities in a pack you save money! Get this in the shop!